Of the 61 directors in all four competition categories at this year's premiere showcase for creative independence, 39% are people of color. This year’s Sundance Film Festival continues the organization’s mission of supporting diverse voices. Among the 112 feature-length films, representing 33 countries, there is much to appreciate about that goal: the U.S. Dramatic Competition features a director makeup that’s 41% people of color, and 22% in the U.S. Documentary Competition. Meanwhile, among the 61 directors in all four competition categories, comprising 56 films, 39% are people of color. According to the festival, these films were selected from a record high of 14,259 submissions, including 4,018 feature-length films. Of the feature film submissions, 38% were directed by one or more filmmaker of color, with the stories each tells just as diverse. By comparison, per a Sundance Institute report released today, produced in partnership with the USC Annenberg Inclusion Initiative, during 2017 and 2018, 24.3% of U.S. dramatic features accepted to the festival had a director of color. Additionally, the study reveals that, while data from 2017 to 2018 indicates that there is a highly diverse talent pool represented among its submissions and acceptances to both Sundance Lab and the Festival Short Film Program for women and people of color, there is a troubling fall-off in feature film submissions to the Festival, which drops significantly for women, men of color, and women of color. In U.S. dramatic features, white males who represent 30% of the U.S. population accounted for 47.2% of the submissions, and were more than twice as likely as male directors of color (22%) to submit their work to the Festival. Men of color submitted 22% of projects to the U.S. Dramatic section but were accepted at a rate of 15.7%, in comparison to their U.S. population representation at 20%. For women of color, the data reveals they are even further below full representation than white women. Representing 20% of the U.S. population, women of color submitted to U.S. Dramatic sections at much lower rates (5.8%) but were accepted at a slightly higher rate (7.4%). Less than 15% of directors of submitted projects within each Festival category analyzed were women of color. Looking at this year’s lineup, the 2019 Premieres section includes Chiwetel Ejiofor’s feature directorial debut, “The Boy Who Harnessed the Wind,” based on the true story of William Kamkwamba, a 14-year-old Malawian kid who built his family an electricity-generating windmill from spare parts. Thanks to the attention he received around the world for his efforts, he co-wrote a book about the experience, encouraging global investment in alternative natural energy sources. The book was published in 2009, and first inspired Ben Nabors 2013 documentary “William and the Windmill.” Ejiofor co-stars in the film as William’s father, and newcomer Maxwell Simba plays the title character. As fans anticipate her first post-“Black Panther” film, which hits theaters in March, Lupita Nyong’o will appear on Park City screens this month, starring in the horror-comedy “Little Monsters” from director Abe Forsythe. Co-starring Josh Gad, the film follows a teacher and a washed-up musician who team up to protect young children from a sudden outbreak of zombies. The film premieres in the Midnight section of the festival. In the US Dramatic Competition section, Rashid Johnson joins other visual artists turned filmmakers, including Julian Schnabel and Steve McQueen, directing a contemporary version of Richard Wright’s divisive 1939 novel “Native Son,” from a script penned by Pulitzer Prize winning playwright Suzan-Lori Parks. With a cast led by “Moonlight” breakout Ashton Sanders, and “If Beale Street Could Talk” discovery Kiki Layne, it’s a definite curio at this year’s festival; little is known about the project, which A24, is backing — along with another project in the category, Joe Talbot’s “The Last Black Man in San Francisco.” The Bay Area-set gentrification drama follows a young black man navigating a rapidly changing city that seems to have left him behind. 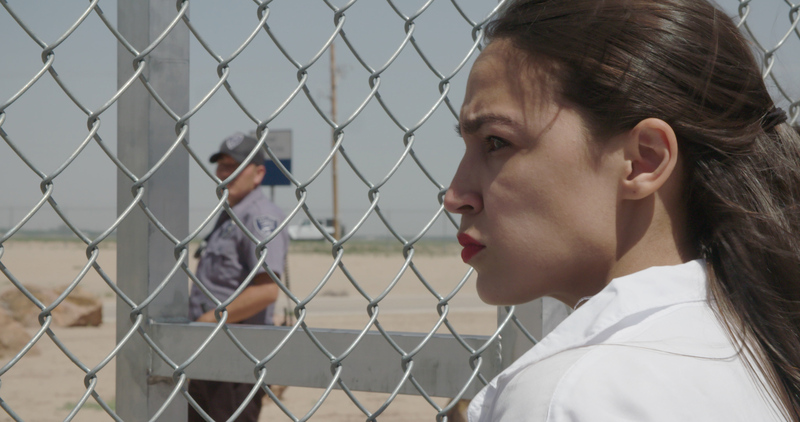 In the US Documentary Competition section, a potential noisemaker is Rachel Lears’ “Knock Down the House,” which centers on the stories of Alexandria Ocasio Cortez, Amy Vilela, Cori Bush and Paula Jean Swearengin — four working class women who ran for Congress in 2018, overcoming overwhelming adversity to challenge powerful political machines in very different American landscapes. Many considered these ambitious goals impossible — until one of them pulled off the most shocking political upset in recent American history. In the same section, Nanfu Wang’s “One Child Nation” investigates the untold history of China’s controversial “One-Child” policy of forcibly restricting family size, shedding light on the generations of parents and children whose lives have been shaped, and in some cases destroyed, by this vast, unprecedented social experiment. Co-directed by Jialing Zhang, the documentary includes interviews with both victims and instigators, while uncovering data on the number of abandoned children (most of them girls). The 12-film World Cinema Dramatic Competition, which features emerging directors from around the world, includes titles from Brazil, Colombia, Uruguay, Japan, and Mexico, telling diverse stories that range from that of four 13-year-old Japanese orphans who form a rock-band, to a British-Nigerian boy who moves to inner London to live with his mother, where he struggles with the unfamiliar on his path to adulthood. First-time comprehensive documentary portraits on seminal artists including jazz legend Miles Davis, celebrated author Toni Morrison, pioneering Māori filmmaker Merata Mita, and Pulitzer Prize-winning Native American (Kiowa) author Navarro Scott Momaday, are selections in the Documentary Premieres category. Sundance runs January 24 – February 3.